To get those numbers, the Forest Service is working with the Summit County chapter of the Backcountry Snowsports Alliance, an advocacy group for human-powered recreation.To get a handle on winter use, the alliance is seeking volunteers to adopt winter trails and do at least two surveys per month, counting the number of cars in trailhead parking lots and how many skiers or snowmobiles are using a trail on any given day.Waugh, who worked with the group to set up the monitoring effort, said the Forest Service is particularly interested to know about illegal motorized use of areas already set aside for nonmotorized recreation, as well as the relative numbers of motorized and nonmotorized users in areas open to both. The information will be valuable when the Forest Service takes input on the travel management plan this spring, Waugh said.In the end, the agency will make some decisions on which areas are open to snowmobiles and which are reserved for quiet recreation, including backcountry skiing, snowboarding and snowshoeing.Human-powered recreationists have said that snowmobile use is encroaching on nonmotorized areas, while snowmobilers claim their opportunities for riding were restricted by the Forest Service in recent years, as trails in the area closed to snowmobile use. The trails that need monitoring are: Hoosier Pass West and East (Bemrose), Quandary Road/ McCullough Gulch, Fredonia, Indiana Creek, Pennsylvania Creek, Dyersville, Baldy Road and trails, Bakers Tank and Boreas Pass, Spruce Creek Road and Trails, Burro Trail, Peaks Trail, Peak 6 and 5, Peak 7 neighborhood trails, Sallie Barber and French Gulch, Gold Hill, Miners Creek, Ryan Gulch, Summit Cove Trails, Frey Gulch, Mayflower and Humbug Gulch, Three Forks of the Swan, all of Montezuma, any backcountry tour (i.e. skinning uphill for turns).Waugh said both groups have agreed to work together to map areas and routes in the Golden Horseshoe near Breckenridge, as management planning for that area proceeds in the coming months. 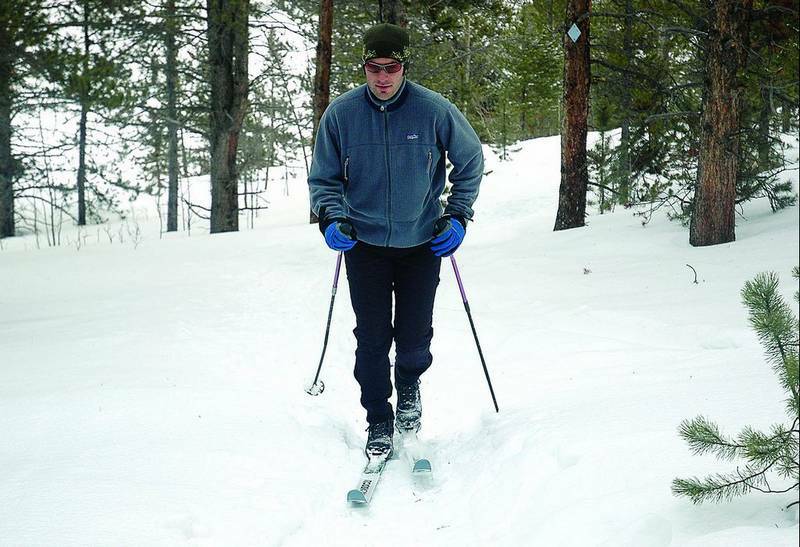 Golden Horseshoe trails will not be included in this monitoring effort.To volunteer for this winter’s trail monitoring efforts, contact the Backcountry Snowsports Alliance at (970) 485-2791 or via e-mail at summit@backcountryalliance.org.